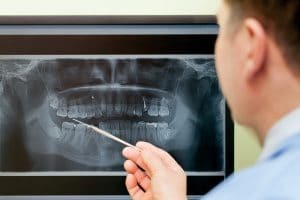 A blog examining a study which revealed the natural ability of teeth to repair themselves can be enhanced using an Alzheimer’s drug. According to research carried out for National Smile Month last year, over four-fifths of the population of the UK have at least one filling. Dentists at King’s College London have been working on a treatment that could substantially reduce this figure. The treatment increases the ability of our teeth to repair themselves by activating stem cells in the soft pulp of the centre of the teeth. This is natural mechanism that has previously been limited to repairing small holes and cracks in the dentine, which is one of the four major components of the teeth (the solid bulk of the tooth beneath the surface enamel). Scientists at King’s College London have revealed that this natural process can be enhanced using the drug Tideglusib, which has been clinically tested and assessed as a potential treatment for Alzheimer’s disease. The drug enables a tooth’s stem cells to rebuild cavities from the surface of the tooth to the root. The treatment was first trialled on mice. Defects in the mice’s teeth were filled with a biodegradable sponge soaked in the drug and then sealed. When the teeth were examined several weeks later, the sponge had degraded and been replaced with new dentine. The scientists are now testing the treatment technique on rats, whose teeth are about four times larger than those of mice. If this proves successful, there is a plan to apply to carry out the first clinical trials in patients later this year. Dental fillings are commonly used to restore a tooth damaged by decay back to its normal function and shape. When a dentist fills a tooth, they will first remove the decayed tooth material, clean the affected area and then fill the cleaned out cavity with a filling material. This closes off the spaces where bacteria can enter and therefore help to prevent further decay. However, fillings can damage the structure of a tooth and leave it prone to infection if the filling erodes or detaches. As this new treatment encourages natural tooth repair, these issues could potentially be eliminated. Although it is not yet clear when and if the treatment will be available to the general public, these initial findings are encouraging and could make a positive impact on dental treatment for cavities in the future.